So much of the cryptocurrency craze that we’ve all witnessed unfold in the last few years has been driven by emotions that even seasoned cryptocurrency investors sometimes succumb to the fear of missing out (FOMO) and invest in a coin without first carefully evaluating whether it has any chance to survive and grow. The fact is that most cryptocurrencies don’t end up capturing much value, and some don’t even make it past the test for being a currency in the first place. To avoid making an emotionally driven decision that might end up costing you a small fortune, you should learn how to perform fundamental analysis on a cryptocurrency so you can decide based on reliable information instead of market hype. Investopedia defines fundamental analysis as “a method of evaluating a security in an attempt to assess its intrinsic value, by examining related economic, financial, and other qualitative and quantitative factors.” In other words, fundamental analysis is the evaluation of key variables, known as fundamentals, to gauge the inherent value of a tradable financial asset, such as cryptocurrency. The groundwork for in-depth fundamental analysis was laid by Benjamin Graham, a British-born American investor, economist, and professor who is widely known as the father of value investing, which is an investment paradigm that involves buying securities that appear underpriced by some form of fundamental analysis. According to Graham, the intrinsic value of a security can be found by using a company’s factors such as its assets, earnings, and dividend payouts. Price changes always happen for some reason, and those who know all the facts and can make the right decision should be able to predict future price movements, Graham believed. For traditional financial assets, such as stocks, fundamental analysis involves the evaluation of the financial health of a company based on its financial statements. Because investors who specialize in traditional financial assets have a significant amount of data to analyze, fundamental analysis is a relatively straightforward process. However, things are much different when it comes to cryptocurrencies. Most cryptocurrency projects have no earnings, revenues, profits, and other traditional metrics that people in the financial world uses to value financial assets. With no traditional metrics to base judgments on, cryptocurrency investors must approach fundamental analysis from a slightly different angle and base it on predictive logic, engaging in in-depth research to assess the viability and potential of a cryptocurrency. They must also keep in mind that fundamental analysis doesn’t always work because of the unique nature of the cryptocurrency market. Take, for example, Dentacoin, the blockchain solution for the global dental industry. If you’re wondering why dentists need a blockchain solution to provide better care for their patients, the answer is that they don’t. “Why does this project need a blockchain or decentralized platform? You can easily create the same thing via a normal web service. The only thing is the reward/incentive system of handing out tokens after a patient fills out a review, but you can just pay contributors in dollars. What perspective am I missing here?” asked a member of the r/Dentacoin subreddit more than a year ago. You can probably imagine how surprised the original poster must have been when Dentacoin reached a market capitalization of $2 billion not even a month later. Right now, Dentacoin’s market capitalization is back to around $30 million—just where you would expect it to be based on fundamental analysis. - Project websites: You would be hard-press to find a cryptocurrency that doesn’t have a website describing its objectives and linking to its white paper and various community channels. - White paper: A must-read for all serious cryptocurrency investors, a white paper is an authoritative report that explores a use case for a project. It talks about the project’s objectives, inner-workings, timeline, and other essential aspects. Because white papers are often written by developers for other developers, they can be somewhat difficult to read, which is why there are now entire websites dedicated to their analysis. - Community channels: It’s impossible for any truly great project to be developed in isolation. All successful cryptocurrencies have at least some form of social media presence, and some even maintain Slack, Telegram, or Discord channels. When developers publish updates, they usually do so either on their website or using the online publishing platform Medium. - Press: You can’t expect developers to blog about why their project has a slim chance of success. Fortunately, there are now many journalists who specialize in cryptocurrencies and blockchain technology in general, and you should always check what they have to say about each and every project that catches your interest. Always be vigilant when reviewing the source of information. Try to confirm the integrity from multiple sources and be aware that it is not uncommon for 'influencers' and review websites to be paid to provide a glowing recommendation of a specific project. Before we get to the meat of this article, we want to clarify that there’s no single agreed-upon framework for the fundamental analysis of cryptocurrency projects. All experienced traders have their own coin analysis checklists that contain both quantitative and qualitative fundamentals. Our approach, while based on years of experience, is just one of many possible ways how to determine whether a cryptocurrency is investment-worthy, and we encourage you to study and adapt it to suit your needs. Market capitalization is defined as “the aggregate market value of a company represented in dollar amount,” and it’s usually the first fundamental cryptocurrency investors analyze. Market capitalization matters because it tells you how much room for growth there is. There’s a psychological bias towards coins with lower prices because novice cryptocurrency investors want to own one whole unit instead of just a small fraction. However, a low-cost cryptocurrency can have the same market capitalization as a high-cost cryptocurrency only if it has a much higher circulating supply. And if it does, it can’t really grow the same way as Bitcoin did back in its golden era. Why? Because it would require a substantially higher investment for the price of a single unit to double. That’s why cryptocurrency investors like to say that the lower the market capitalization of a cryptocurrency, the higher the potential for its growth. The reason why so many Bitcoin hodlers (a slang term in the cryptocurrency community for people who are holding cryptocurrencies rather than selling them) believe that they will all be driving expensive Lambos in the future has a lot to do with Bitcoin’s coin supply, which is arbitrarily limited to 21 million. At the moment, there are around 18 million BTC in existence, so over 85 percent of all Bitcoins have been issued. The law of supply and demand is clear: low supply and high demand increase price. When the supply of BTC eventually runs out, the demand for the cryptocurrency will increase its price. Of course, the law of supply and demand also works in reverse, which is why you always need to pay close attention to coin supply when performing a fundamental analysis of a cryptocurrency and building your investment portfolio. Trade volume is an important indicator of a cryptocurrency’s popularity. Simply put, trade volume is the amount of a cryptocurrency that exchanged hands during a certain period of time. In other words, trade volume tells you how much a cryptocurrency is purchased and sold on cryptocurrency exchanges. When a cryptocurrency has low trade volume, it can mean that there’s no demand for it. You can check trade volume on cryptocurrency exchanges or use a site like CoinMarketCap to see how much a particular cryptocurrency is trading across different markets. While you’re at it, you should also on how many exchanges is the cryptocurrency available. If it’s only on a handful of more-or-less obscure exchanges, there might be a reason why no large exchange wants to touch it. We’ve already mentioned Dentacoin as an example of a cryptocurrency with a very weak use case. Some cryptocurrencies clearly exist just so their founders and developers can make easy money by preying on cryptocurrency investors who don’t evaluate whether the project they’re supporting is solving any real problem of public interest. Ask yourself if there’s a real-world problem the developers are trying to solve. If there is, will their solution drastically improve the way things are currently done? More importantly, is blockchain necessary for the solution to work? If it’s cheaper, faster, easier to create a non-blockchain solution to solve the problem, it’s very unlikely that the project will ever gain any significant traction. 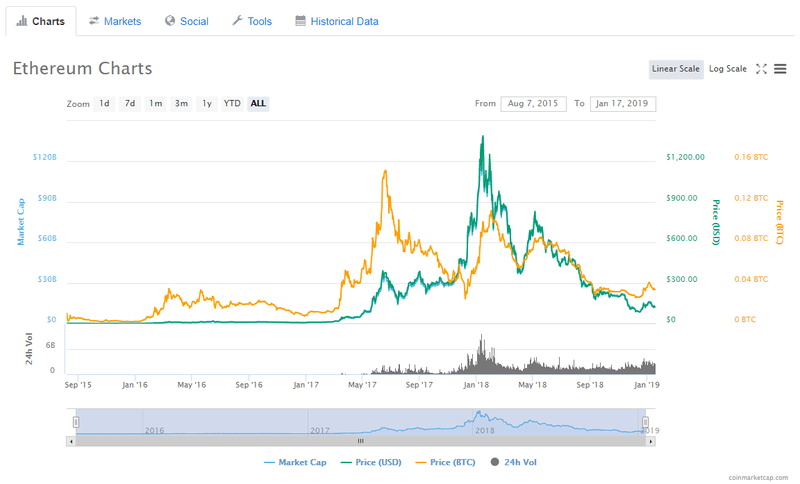 While the eventual failure of Dentacoin seems kind of obvious in the hindsight, the potential of most cryptocurrencies is much harder to estimate. We recommend you create a network of cryptocurrency investors with different backgrounds to collectively judge a coin’s utility potential. Investigating the team should be an important part of every fundamental analysis. As unfortunate as it is, the cryptocurrency space has attracted a lot of dishonest people who are willing to lie in public just to convince investors who don’t know any better that their project is worth supporting. In fact, many cryptocurrency projects are straight up money grabs from people who have no relevant experience. There have been a more than a few projects that tried to make themselves seem more reputable by hiding the identities of their founders and developers for security reasons. Never accept cheap excuses like that because that would be almost the same as sending money over to spammers claiming they are Nigerian princess and princesses. We recommend you always spend at least some time reading interviews and watching conferences with the founders before you invest your hard-earned money in a cryptocurrency. If you live in a major city, you might even be able to meet some of them in person and ask them questions directly. When it comes to blockchain projects, there’s a lot that can go wrong. You should always start by finding out where the project is sitting legally. We understand that not everyone is an expert on international copyright treaties and privacy laws, but that’s where cryptocurrency forums and discussion groups come in. Next is scaling. Even Bitcoin, the oldest and largest cryptocurrency in the world has had serious scaling issues, despite its resources and manpower. Ethereum is another large cryptocurrency whose very existence has been threatened by scaling issues. Last but not least, make sure to find out if there are any noteworthy competitors. Some of the most successful cryptocurrencies today, including Bitcoin, had the first-mover advantage, which allowed them to gain significant traction before others stepped in. Some cryptocurrency projects have no idea where they’re going. They launch with ambition to change the world but don’t even get to releasing a working product. You can always tell that a project won’t get anywhere if it has a vague or nonexistent roadmap. A good roadmap is both detailed and far-reaching. It should clearly state when and what has been and will be done. The more details a roadmap provides, the better. Just make sure to really think for a moment about the entire plan. You want to see a working product being released somewhere down the road. You definitely don’t want to see marketing being the focal point of the team’s attention for the next year or so. First proposed in 2013 by cryptocurrency researcher and programmer Vitalik Buterin, Ethereum is now one of the largest blockchain projects in the world. Since its early days, Ethereum has had a dedicated following of supporters, who swear by its fundamentals and believe that the project has the potential to change the world, making Ethereum an excellent subject for our case study. As of January 2019, Ethereum has a market capitalization of $12,710,259,151, according to CoinMarketCap. This makes it the third largest cryptocurrency in the world, after Bitcoin and XRP. 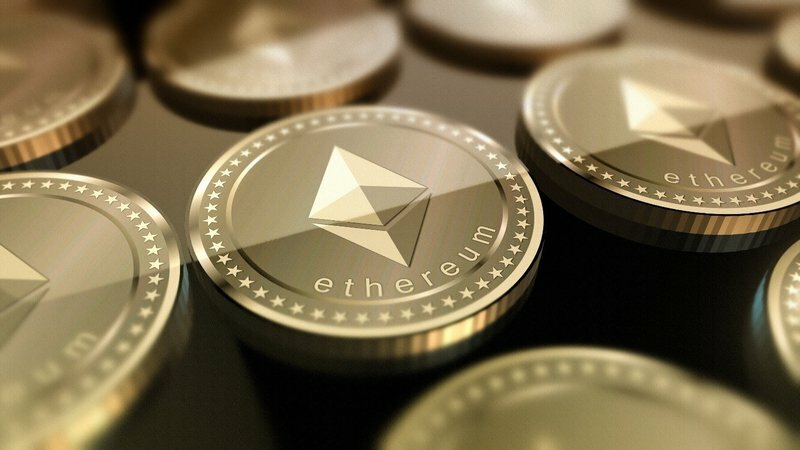 The fundamental cryptocurrency for the operation of Ethereum is Ether (ETH), whose current supply has recently crossed the 100 million mark. While the supply of Ether is not limited at the moment, it’s very likely that a limit will be placed in the near future. “In order to ensure the economic sustainability of the platform under the widest possible variety of circumstances, and in light of the fact that issuing new coins to proof of work miners is no longer an effective way of promoting an egalitarian coin distribution or any other significant policy goal, I propose that we agree on a hard cap for the total quantity of [120 million] ETH,” said Vitalik Buterin. At the time of writing this article, the trade volume (24h) of Ethereum is $2,489,401,721. The largest chunk of this volume comes from DOBI Exchange, which is an international platform for trading Bitcoin, Litecoin, Ethereum, and other digital assets. CoinMarketCap lists over 400 cryptocurrency exchanges where Ethereum is traded, which is to be expected from the third most popular cryptocurrency in the world. Ethereum developers would like to allow people to create markets, store registries of debts or promises, move funds in accordance with instructions given long in the past and do many other things that have not been invented yet, all without a middleman or counterparty risk. The use cases of Ethereum’s smart contracts include banking and financial services contracts, ICOs or DAICOs, prediction markets, digital identity management, escrow, peer-to-peer financing, corporate benefits, all kinds of decentralized applications, taxes, voting, policies, and much more. Many companies have already built working solutions on Ethereum, including Civil (saving journalism), BAT (disrupting digital advertising), Etherisc (decentralizing insurance), Horizon State (securing digital voting), Provenance (improving supply chain transparency), Giveth (re-engineering charitable giving ), Ujo (allowing music creators to grow and thrive), PowerLedger (democratising energy markets), and Uport (solving data privacy). Ethereum was proposed by Vitalik Buterin, a Russian-Canadian programmer and a co-founder of Bitcoin Magazine. Other members of the core Ethereum team at the time of its announcement included Mihai Alisie, Anthony Di Iorio, and Charles Hoskinson. Even though there are already many working solutions built on Ethereum, there are also several major roadblocks that could prevent Ethereum from living up to its own expectations. Perhaps the biggest roadblock of them all is scalability. For Ethereum to become the planetary computer it hopes to become, it must deal with the issue of blockchain scalability. Vitalik Buterin and other core Ethereum developers would like to migrate the Ethereum protocol over from the Proof of Work consensus mechanism to Proof of Stake (layer 1) and add support for side-chains (layer 2). Ethereum has recently unveiled a new version of its roadmap, called Ethereum 2.0. “Once delivered, Ethereum 2.0 will support massive on-chain transaction throughput, while balancing decentralization and security. With this foundation, Ethereum has the potential to be a key piece of infrastructure for the world’s transfer of value, a platform for new economic systems, and a hub for global collaboration,” explained senior blockchain developer Darren Langley. Ethereum 2.0 combines proof-of-stake (Beacon Chain, Casper FFG), sharding, and eWASM. It stands on a mountain of research, which includes signature aggregation, random number generation, fork choice, data availability, light client support, P2P communication, and cross-shard communication. Clearly, Ethereum developers have a very clear idea where the project is going. With over 2,000 cryptocurrencies in existence, it shouldn’t come as a surprise that not all of them are investment-worthy. The good news is that you can significantly increase your chances of making the right investment decision by learning how to perform a fundamental analysis. As we’ve explained and demonstrated in this article, there’s nothing difficult about fundamental analysis since all you need are readily available sources of information and a few hours of spare time.